After eight and a half months indoors, these cows finally got to venture out yesterday morning. 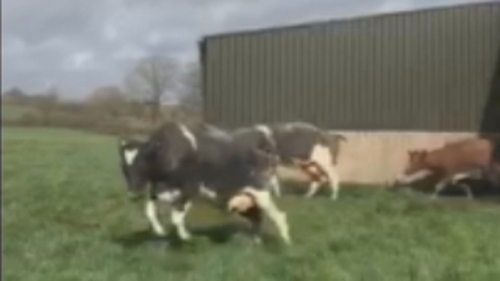 Steven Houston filmed the happy scenes on his farm north of Ballymena, Co Antrim. Poor weather conditions meant the herd was indoors for longer than usual this winter. Many farmers have been faced with difficult conditions after a long and wet winter. Emergency animal feed has been imported in recent weeks to help ease a weather-related fodder crisis.